- Worthing’ premier leafleting company! Why should I consider doing a leaflet or flyer drop? Simple – it works, that’s why so businesses use leaflet & flyer distribution as part of their general marketing mix. With declining local newspaper sales and increasing competition from new digital radio stations reducing the numbers of people listening to local radio, leaflet and flyer distribution becomes even more important for reaching the maximum number of people. Why should I use Worthing Direct? Simple – we invest in people & technology to ensure we deliver for our clients, delivery agents carry GPS trackers that report back every 10 seconds as to where they have delivered, they are also paid well above the ‘living wage’, ensuring mutual respect & loyalty. A lot of companies employ distributors on a self employed basis, so the minimum wage doesn’t apply, and they get away with paying next to nothing, which results in leaflets & flyers being dumped. How competitive is Worthing Direct? The rates are probably the lowest available for GPS tracked delivery, you deal exclusively with Mike, from placing your order, to distribution of your leaflets or flyers, to invoicing after delivery. Yes, unlike many companies you will not be asked to pay upfront! Do Worthing Direct deliver to every home in an area? No, each area has slightly more homes than the number delivered to, as the maximum distribution figure in any particular area are rounded-off to the nearest thousand homes. This is done for two reasons, most of our clients get their leaflets or flyers printed in multiplies of 1,000, and this also allows flexibility to skip homes where, for example, there’s a dog in the front garden or a ‘No Junk Mail’ sign is displayed. How will I know which streets Worthing Direct have covered? Once distribution is completed a map will be supplied with the invoice, the streets delivered to will be highlighted, so you’ll know exactly where your leaflets or flyers have been delivered. That very much depends on the type of business and what sort of offer is made. A take-away menu will generate a far higher response per thousand, being an impulse purchase of a low order value, compared to say a roofing contractor, where a smaller percentage of people will respond, but the order could run into thousands of pounds. Response doesn’t always occur straight after delivery, many clients receive calls some weeks or even months after their leaflet or flyer has been delivered. Can Worthing Direct advise on how to increase response? 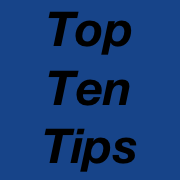 Yes, just click on the ‘Tips’ tab in the site header, where you will find some basic tips on how to get the best response out of your leaflet or flyer. Mike is happy to offer further individual advice to clients, based on his years of experience in local press advertising. How do I go about booking a delivery? Simple, just contact Mike at Worthing Direct as soon as you decide you want to have leaflets or flyers delivered and we can discuss your requirements and hopefully be able to accommodate them. It is best to contact him with as much advance warning as possible, as no two direct competing businesses can have their leaflets or flyers delivered together, and normally a maximum of six leaflets or flyers are delivered at once. Does Worthing Direct only provide a shared delivery option, and if so, why? Yes, and it’s simple, it is the most cost effective method of getting your message delivered, the business model is similar to the Royal Mail’s service, but unlike them your flyer or leaflet will never be inserted into another item. Therefore, generally speaking, the leaflets & flyers will scatter as they land on the doormat, increasing the chances of your message being seen. As an added bonus Worthing Direct is also a lot cheaper than the Royal Mail. Would I get better response if my leaflets or flyers were delivered on its own? Possibly, however the cost of doing that could be three or four or more times as expensive as a shared delivery, and any increase in response would likely be very small compared with the higher cost involved. Human beings are naturally curious, so most people will glance at all the leaflets and flyers delivered, the most important thing is that your leaflet or flyer is eye-catching and instantly clear as to what you are offering – see ‘Tips’ by clicking the tab in the site header. How soon will my leaflets or flyers be delivered? Once you are booked for a specific round, deliveries will commence in the week listed for that round to start, see the ‘Schedule’ by clicking the tab in the site header, and should be completed with 14 days. If you intend to include a promotional date, please discuss this at time of booking. Do you respect people’s property and wishes when you deliver? Oh yes, gates that are opened are always closed after delivery, Mike never walks across lawns and will never deliver when a ‘No Junk Mail’ sign is spotted, unlike some distributors. He treats other people’s property with the respect he would expect from people delivering to his own home. What is Worthing Direct delivery policy for blocks of flats? If access is available, leaflets and flyers are delivered into individual letterboxes, a pile is are never just dumped in stairwells, which is the case with many other delivery companies. If there’s no access, but a communal letterbox, generally speaking a maximum of two of each leaflet or flyer is delivered, no matter how many flats there are in a block. What if I have a query or complaint about delivery? In the highly unlikely circumstances that you feel there’s been any problem with your delivery, it will be taken extremely seriously. You should advise Mike at Worthing Direct of any problem within seven days of receiving your invoice and highlighted map, and will normally receive a response within 24 – 48 hours. It is extremely rare for a query or complaint to be raised, and they have always been dealt with promptly, this is an advantage of clients dealing directly with the person that does all the deliveries. If you have any other questions, please don’t hesitate to contact Mike on 07765 911 955 or use the form on the ‘Contact Us’ page, available from the tab in the site header.